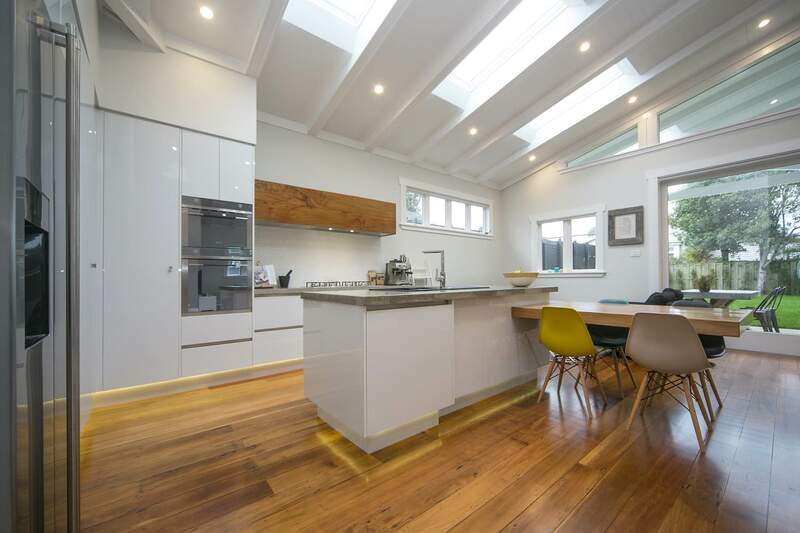 Planning your kitchen layout | Qualitas Builders | New builds & renovations in Auckland | Quality you deserve! Most family kitchens are much more than a place to cook. It’s also a casual dining space, homework area, charging station for devices and entertainment hub. Make sure to carefully plan a functional layout before getting to the fun task of choosing your finishes and fittings! Reflect on what does and doesn’t work well in your current kitchen. If you’re renovating, does the current space need opening up or extending? Consider the flow from the kitchen to your dining table and between the other areas in an open-plan space. Position the fridge so your kids can get to it without passing the oven or cooktop. 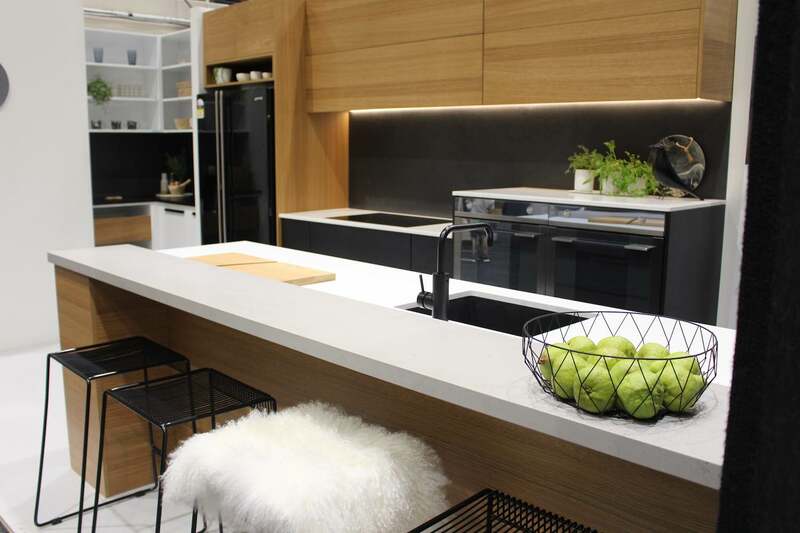 Your kitchen layout will be largely influenced by the size and shape of the room. 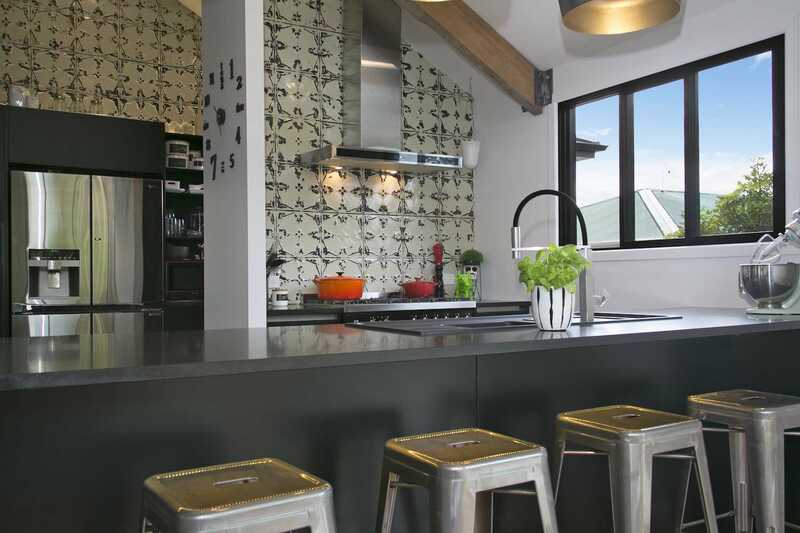 Place your cooktop, fridge and sink at the three points of a triangle for an efficient workspace. For optimum workflow, place your kitchen items in task orientated zones. A prep zone with utensils, chopping boards and bins stored under the bench. Your cooking zone should have pots, pans and utensils in drawers under the cooktop. Store your oils and spices nearby. Store your crockery, glassware and cutlery close to the dishwasher. Make sure you can still put everything away easily when the dishwasher is open. Ideally your sink should be positioned on a wall with a window or facing out into the room in an open-plan space. This kitchen layout is a popular choice in smaller homes, baches and apartments. As the name suggests, all your appliances and cabinetry run along a single wall. Use tall cabinets and wide drawers to maximise your storage, and note your bench space may be limited by the sink, cooktop and fridge. Named for a ship’s kitchen, the galley layout is compact, efficient and ideal for a narrow room. A traditional galley has two rows of units running along parallel walls, which can leave the cook feeling cut off from family and guests. Too many wall cabinets will close the space in, so add some glass fronted units or open shelves. In an open-plan space, these issues are solved by replacing the second wall of units with a long island. Place the sink opposite the cooktop and fridge for a great working triangle, and have at least 1.2m between the two lines of cabinetry for easy access. 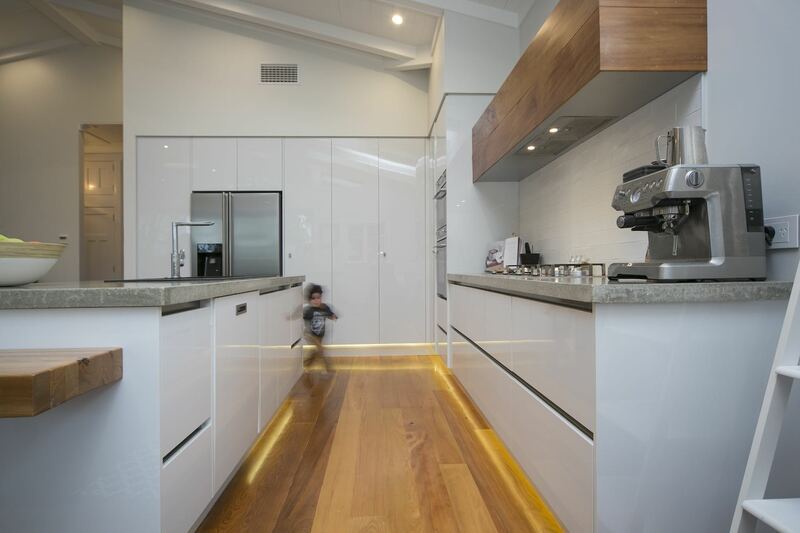 An L-shaped kitchen has appliances and cabinets placed along right-angled walls, making it ideal in an open-plan space. If there’s enough room you can add a kitchen island or even a dining table. Form your working triangle with the fridge and sink on one wall and the cooktop on the other. Avoid closing the space in by placing wall cabinets on just one side of the L. Include one of the many ingenious solutions available to give easy access to the corner cupboards. The U-shaped kitchen has appliances and cabinetry positioned around three walls providing great work flow, lots of bench space and plenty of storage options. You can also use this layout in an open-plan space with the third run of units creating a peninsula between the kitchen and dining areas. Avoid using a this layout if you don’t have adequate space as you’ll end up with a kitchen that feels cramped.